About twelve million Americans take out payday loans every year. It's a big -- and controversial -- business. The U.S. Consumer Financial Protection Bureau called these loans "debt traps" and proposed new rules Thursday to curb the industry's worst practices. Payday loans typically come with interest rates of over 100% -- far higher than the 15% to 30% annual interest rates on credit card debt. The stocks of America's top payday lenders fell sharply in reaction to the news of the additional regulations in the works. 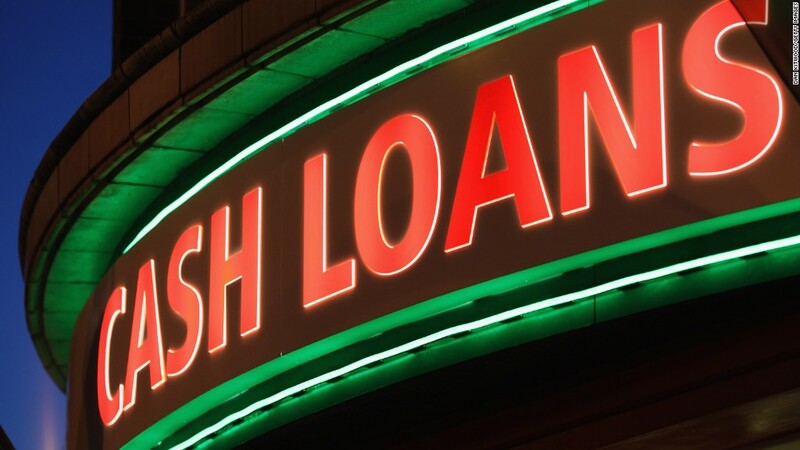 EZCorp (EZPW), which owns the EZMoney loan stores, dropped nearly 6% Thursday, and Cash America (CSH), which runs Cash America, Cash Land and Pay Day Advance stores, slipped more than 4%. New rules: Borrowers often have to take out more loans to try to pay back the original loan amount. Under the proposed regulations, payday lenders would have to limit loans to an amount that people could repay without defaulting or having to borrow yet again. There would also be a 60-day "cooling off" period before someone could get another loan. Another rule would prevent lenders from trying to access someone's checking account without notifying them first. Lenders also wouldn't be able to access accounts more than twice in a row. Fees often add up quickly when someone doesn't have enough money in their account to make the payment. John Hecht, an analyst at Jeffries called the proposed new rules "more stringent and restrictive" than many had anticipated. But some suggest the sell-off could be premature. These companies don't just do payday loans, but also pawn shops and other short-term cash opportunities. "Our view is that this may be a positive for the publicly traded payday and installment lenders by forcing many smaller players out of business," wrote Guggenheim Partners in a note to investors. Desperate measures: The people taking out payday loans are typically at a dire point in their finances. "Payday loans can seem like easy money at first, but the average borrower ends up spending about 200 days out of the year in debt. If they take out a $500 loan at the typical rates, they wind up paying more than $1,000 in interest and fees," President Obama said in a speech Thursday. Payday lending spiked in the aftermath of the Great Recession. EZPW stock hit a high of over $38 in 2011 but has since pulled back to trade below $10.